Added on 19 March 2019 . By Olivia Cheves. 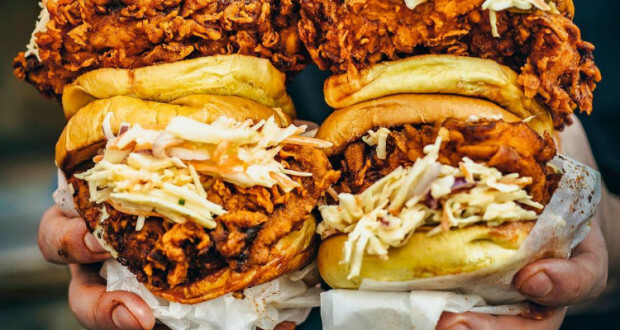 A new restaurant from the team behind Red Dog Saloon, Louie's is serving up some of the tastiest fried chicken in East London. Taking over the downstairs space of the Hoxton Square Red Dog Saloon this relaxed eatery will be serving up buttermilk coated chicken seasoned with paprika, garlic, brown sugar and cayenne-infused hot oil for a deliciously spicy and crunchy finish. Alongside some straight-up cuts, you'll be able to dig into beefed-up burgers and tasty fries as well.